No matter who attends, Open Yoga will be an unforgettable and moving encounter with yoga practitioners from any part of the region. Our atmosphere is one of joy to be in our own practice. Greetings & Namaste from Switzerland Yogis! Open Yoga has a very special energy among the people and space. We can be found in the open church St. Jakob am Stauffacher. No matter who attends, Open Yoga will be an unforgettable and moving encounter with yoga practitioners from any part of the region. Our atmosphere is one of joy to be in our own practice. 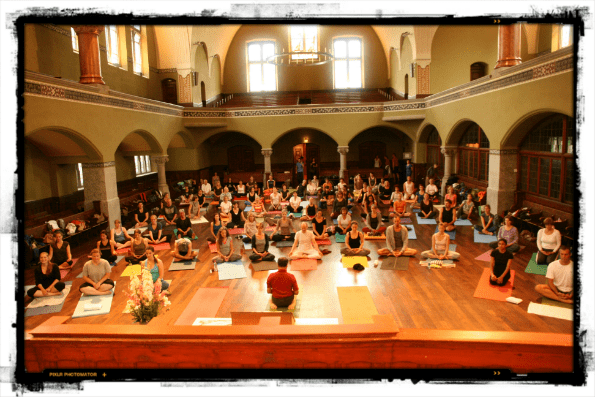 Open Yoga is an event in which, regardless of whether novice or experienced yogis, one approaches the situation with respect. Yoga is open to people of all ages and Couleurs. The only requirement is to open yoga participate want to.